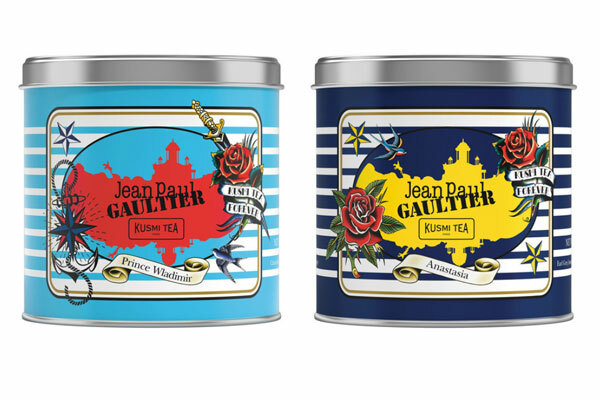 Kusmi Tea unveils a collection of products specially dressed by the famous designer Jean Paul Gaultier. Inspired by his most iconic pieces, this exclusive collection reworks the designer’s fetish codes of the striped sailor jersey and the tattoo, mixing masculine and feminine. Inspired by the story of the Grand Duchess Anastasia, daughter of the Romanov dynasty’s Czar Nicholas II, this exclusive Earl Grey blend exemplifies Kusmi’s famous Russian taste with its combination of black tea, bergamot, lemon and orange blossom.